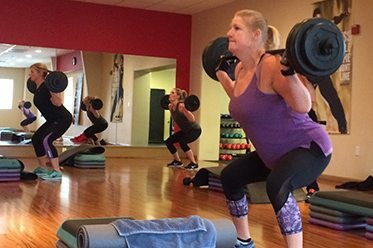 At Valley Fitness in Harrisonburg, we offer a wide array of group classes so that our members can find the right fit for their weight loss and physical fitness services. 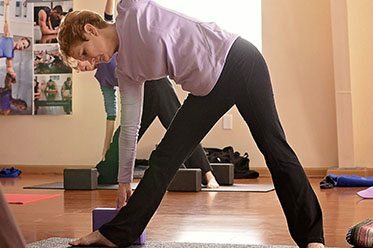 We know that not all exercisers are ready to tackle the most intense workouts, whereas some do need that challenge. That’s why we try to provide our members with a lot of options at various times of the day, so that everyone has an opportunity to take part in a group class. We offer several group classes by Les Mills, including BodyCombat, BodyPump and BodyFlow. For those who want something a little bit different, we also offer Zumba, the popular dance fitness program that includes elements of aerobics in dance routines. All of our group classes are taught by teachers and personal trainers who know how to teach you the right way to execute all of the required moves, while also pushing you to get the most out of your workout. Our members find that group classes are a fun way to reach their physical fitness goals and jump start their weight loss program.